Sanibel and Captiva Islands are truly a Gulfcoast paradise. These two barrier islands offer excellent restaurants, accommodations, beaches, golfing, tennis, fishing, boating, shopping, bike paths, and the renowned J.N. 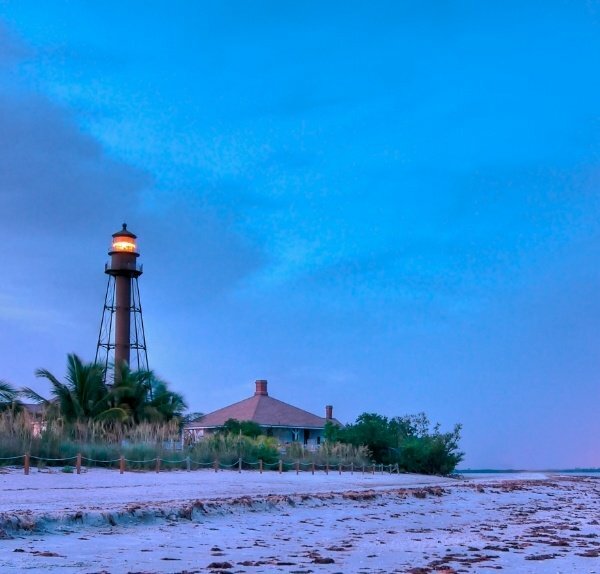 "Ding Darling" National Wildlife Refuge & Bird Sanctuary as well as the Point Ybel Lighthouse which has guided seafarers to Sanibel Island's shores since 1884. Sanibel boasts 25 miles of paved bike paths and is gifted with great sandy beaches and an abundance of shells that make it world renowned for its shelling and the "Sanibel Stoop". Plan for sunshine, glorious sunsets, cool evening breezes and an easy-going outdoor lifestyle that provides a perfect island vacation paradise. All this is just a short ride from the Key West Express ferry terminal.